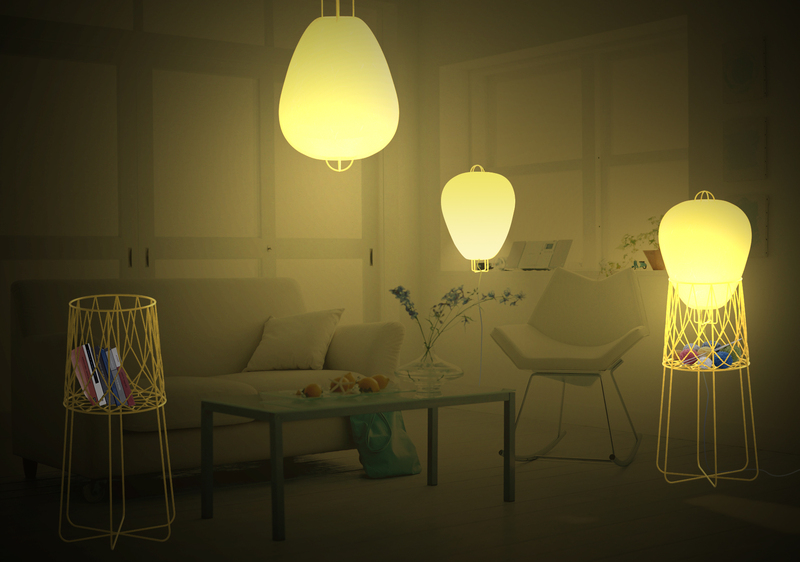 The « Montgolfier » lamp is a lantern made of Washi paper, easily mountable and transportable, which strolls through the house like a lighted balloon. 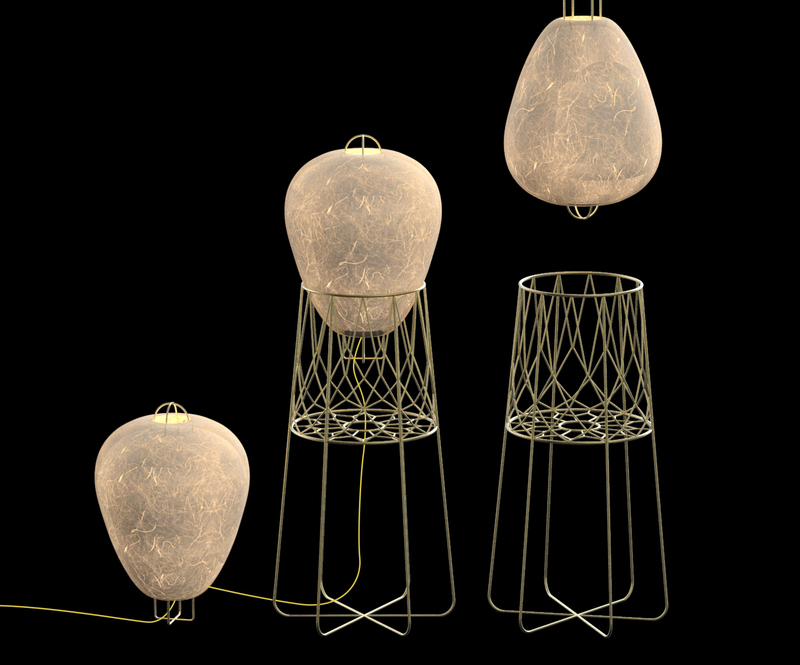 Modulable according to your desires, the « Montgolfier » lamp can be placed directly on the table, suspended as a chandelier or placed into the « nacelle ». This basket can be used as a foot, but it is also a sideboard in which the user can put magazines, balls of wool and other trinkets of his choice. 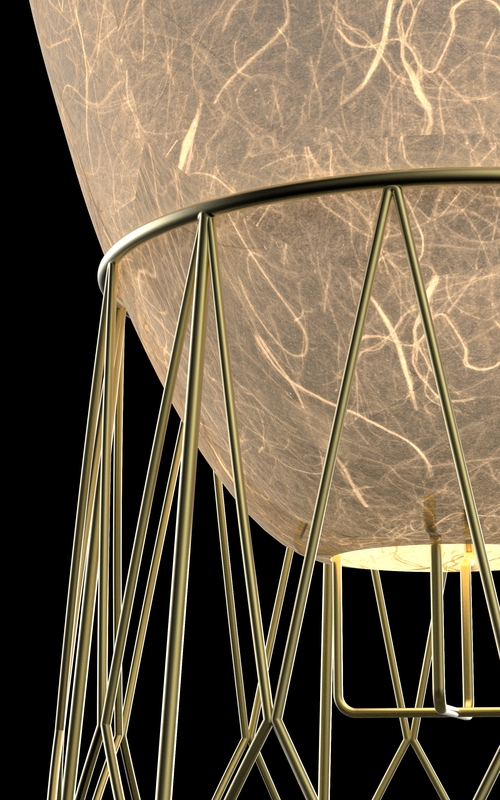 The materials and techniques chosen are adapted to industrialization on a large scale and make possible to have a cost accessible to the general public. 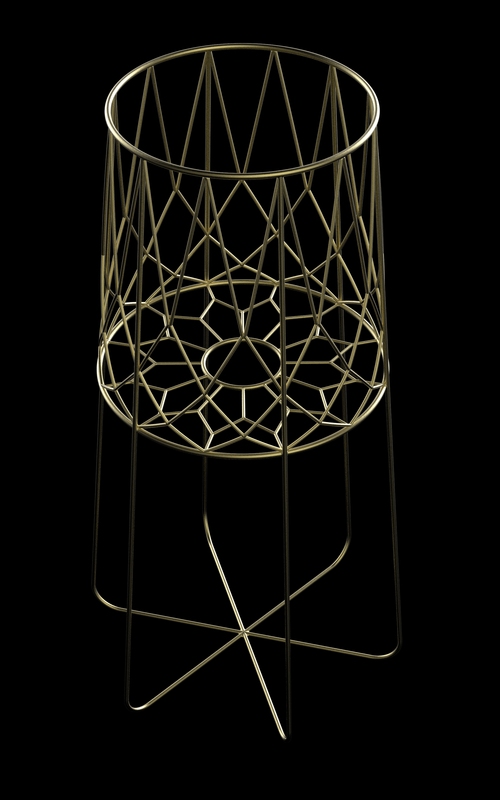 The lantern can be declined in several forms for a possible collection. 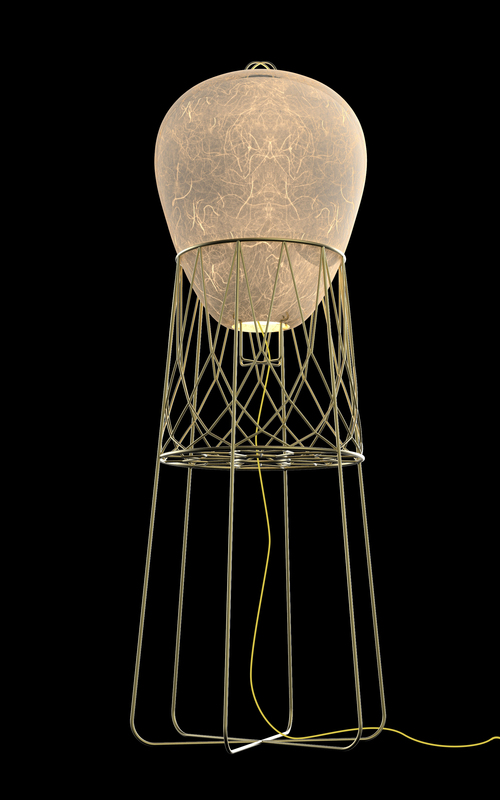 The reference to the « hot-air balloon », but also the Japanese influence shown through the paper lantern and the Kanaami technique regarding to the weaving of the basket, are all elements that make this lamp a poetic and elegant object, ready to fly.